We’re so glad you found us (The Sunday Oregonian — E1)! What is Frugal Living NW? Simply put, we’re here to save you money. We work hard to give you the scoop on great ways to save in the Northwest, especially the Portland Metro area. Every week, you will find the weekly deals running at Walgreens, Rite Aid, Safeway, Albertsons, Fred Meyer, New Seasons and Target. We not only tell you the hot deals but also tell you how to do the deals — what coupons to use, where the coupons are located (internet printable coupons are always linked) and scenarios that will maximize your savings. 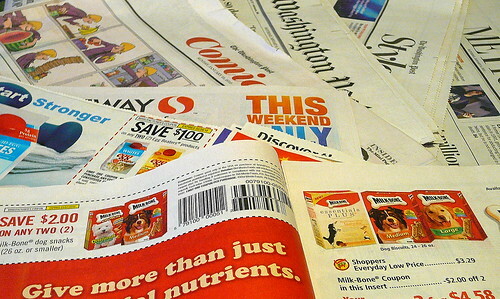 We take the leg work out of couponing, making your shopping more efficient and enjoyable. New to couponing? No problem! We love beginners! In fact, we offer couponing classes in and around the Portland Metro area every month. Give us one hour and you will walk away with the knowledge and confidence to start getting the vast majority of your non-perishable groceries and household items for free or nearly free (no, we’re not exaggerating!). Classes are free with a donation of five food and/or household items to the host’s charity of choice, usually a local food bank. Unless stated, you do not need to RSVP — just show up with your pen and get ready to learn! While you’re here, take a look around and see more of what we do. Our site is updated several times a day, so you will want to check in often for more ways to make your dollar stretch. If you’d like to subscribe to Frugal Living NW and have the deals come straight to your email box, sign up here. This post will remain at the top for the remainder of Sunday. Scroll down to see new posts. Where in the paper was the article? I must have missed it. Thanks! I know bottom feeder? Icky, the truth is I can "afford" not to use coupons. But why wouldn't I? The only thing it really costs me is time. And in the long run it frees up more money for things I would rather spend money on. I was shocked at the bottom feeder comment too…in fact that is why I was reading the comments here, to see if anyone else thought that was a little far fetched! Did that guy in the Oregonian article call us frugal shoppers "bottom feeders"? Wow- going from store to store for FREE food and amazing deals…. I would call that strategic, smart, intuitive and ambitious,….but a bottom feeder? Boo. Just remember that those coupons only work for military familys who are deployed. They will not work in the united States. I have a question – does anyone know someone locally who accepts expired coupons to ship to military families? I've got a LOT. If you don't know someone who is already shipping – maybe you know a military family that can benefit from these? I am willing to ship myself, just need an address! Please e-mail me at djbartch (at) gmail.com with an address. I don't want these to go to waste!